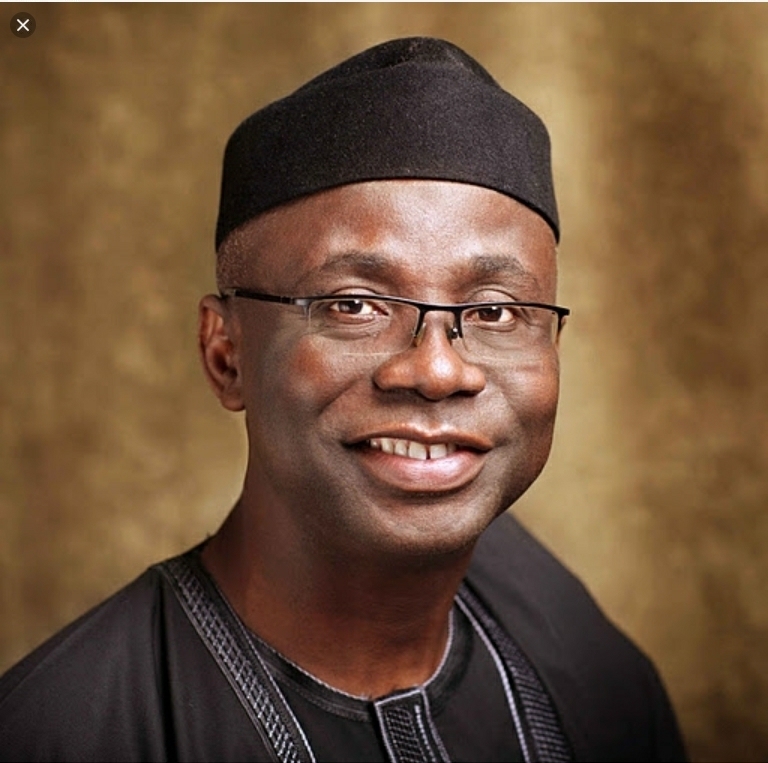 Renegotiating The New Nigeria: Speech By Pastor Bakare At Canada on 13/10/18. ON SATURDAY, OCTOBER 13, 2018. Indeed, some form of cooperation existed among these entities; they often exchanged goods and services in intergroup trades. However, they also had intergroup conflicts ranging from mere distrust and mutual suspicion to full-blown wars. As a result of such wars and violent interactions, some nations were conquered; some kingdoms were annexed, some territories became vassal states, peoples were enslaved and, in some cases, whole towns were destroyed. You will agree with me that under such circumstances, these peoples that occupied the area around the River Niger would naturally regard one another with deep suspicion and that any future interactions would be volatile. In Lagos, for instance, Oba Dosunmu was compelled to sign the Lagos Treaty of Cession with the gunboat pointing towards the Iga Idunganran, the palace of the Oba of Lagos. In Benin, Oba Ovonramwen Nogbaisi was deposed and exiled upon the defeat of his army. In the North, Caliph Muhammadu Attahiru I of the Sokoto Caliphate was killed as he mobilised the people of the Caliphate in resistance against Lord Lugard whose forces had already taken over the caliphate by force of arms. Another important point to note is the fact that several of these conquests and mergers of territories were not executed by the British government but by a profit-making enterprise, the Royal Niger Company. Nigeria only became the property of Great Britain in 1899 when the Royal Niger Company sold the territory to the British Crown for £865,000! Can you imagine that Nigeria was purchased by the British government as a piece of real estate? At the 2014 National Conference, I saw firsthand the degree of volatility in the relationship between the North and South of Nigeria. As we convened to seek acceptable solutions to our nation’s structural and functional problems, we were greeted with a position paper titled ‘Key Issues Before Northern Delegates.’ The document, which had been prepared by northern delegates, argued that, since 1914, the North had contributed more to the national economy than the South but had received less in terms of budgetary allocations; it also argued that the North had, over time, sacrificed its interests to allow for a Nigerian state. The document not only sought to demand more for the North at the expense of the South, it also preemptively attempted to paralyse the position of the South even before the commencement of deliberations. It sought to condition the South to negotiate from a position of weakness. To further charge the already tense atmosphere, HRH Dr. Muhammadu Barkindo Mustapha, Lamido of Adamawa, spoke on behalf of the Northern delegates and threatened that they would “easily walk out of [the] conference” if the modalities of voting for resolutions at the conference were not resolved. Expectedly, the southern delegates were taken aback and poised to hit back reactionarily at the North. Some had become impatient in the face of the perceived opposition of the North to progressive proposals from the South and were already humming separatist tunes , but some of us were convinced that was not the best approach. Subsequently, a few fellow southwest delegates met at my residence with some consultants to brainstorm on the issue. With the support of the International Centre for Reconstruction and Development (ICRD), the think-tank I founded in 2007, and the collaboration of the consultants, we created an intelligent rebuttal titled ‘Lest We Forget.’ Besides correcting the factual misconceptions and fallacious assumptions in the northern document, we reminded the delegates to the conference that, under international law, the continental shelf of the Atlantic Ocean is connected to the southern territory of Nigeria. Considering this, we redesigned the map of Nigeria to extend the southern territory into the continental shelf. Historically, the dissonance between the North and South of Nigeria traces its origin to the southward advance of the Sokoto Caliphate in the 18th century. Opinion leaders in the South see this southward advance as a manifestation of an imperialist agenda with a persisting legacy. Nigeria is not a nation. It is a mere geographical expression. There are no “Nigerians” in the same sense as there are “English,” “Welsh” or “French.” The word “Nigerian” is merely a distinctive appellation to distinguish those who live within the boundaries of Nigeria from those who do not. In essence, the motion for independence was vehemently resisted by the northern representatives as the North was unprepared for self-rule. Instead of the 1956 date proposed, the North amended the motion to read “as soon as practicable.” As a result of these differences, the South walked out of the Legislative Council while the northern representatives were openly ridiculed by the southern masses on the streets of Lagos. Following this debacle, the Action Group sent a delegation led by Chief Samuel Akintola on a tour of the North to mobilise support for the cause of independence among the northern masses. This move precipitated the first interethnic riots in Nigeria’s history, known as the Kano Riots. At this point, the northern leaders reached what appeared to be the limits of patience and threatened secession or the adoption of an “eight-point programme” which emphasised regional autonomy. However, our founding fathers navigated these conflict hotbeds with intense negotiations at conferences that culminated in eventual independence and the adoption of a federal system of government with the regions as federating units. These negotiations by our founding fathers sought to redefine the Nigerian construct from the commercial undertone to the genuine quest for nationhood. However, even independence could not truly resolve the North-South Question. When the British eventually began to take off the vestiges of colonialism to pave way for independence, reports allege that the former colonialists tilted the ethnopolitical balance in the interest of the North. Soon, the Northern region, in the bid to bridge the developmental gap between the North and South, adopted what it called the “Northernization policy.” By this policy, northerners were given priority consideration for public service roles. Where there was no qualified northerner, the opportunity would be extended to an expatriate on a contractual basis. Nigerians from other parts of the country would only be considered, again on a contractual basis, where no expatriate could take on the role. This affirmative action policy was, however, received by the South as discriminatory. The issue of an acceptable national census also heightened tensions around the North-South Question. Since the first census in 1921 all through to the 2006 census, population counting in Nigeria has always been controversial, sometimes resulting in violence. The reason is not far-fetched. Population figures determine how many seats each constituent part gets in a representative government, and they also determine revenue allocations. More than these, in an ethnically charged electoral system, they are predictive of election results. The North-South Question continued to demand answers when we returned to civil rule in 1999. It was what was at play when the North endorsed Chief Olusegun Obasanjo for the presidency in 1999 while the South, in particular, the South-West, largely supported Chief Olu Falae. It showed up in the 2011 presidental elections as “a clear division within the country between the North-South, Muslim-Christian lines,” with the South voting for the People’s Democratic Party’s Goodluck Jonathan, and the North voting for the Congress for Progressive Change’s Muhammadu Buhari. 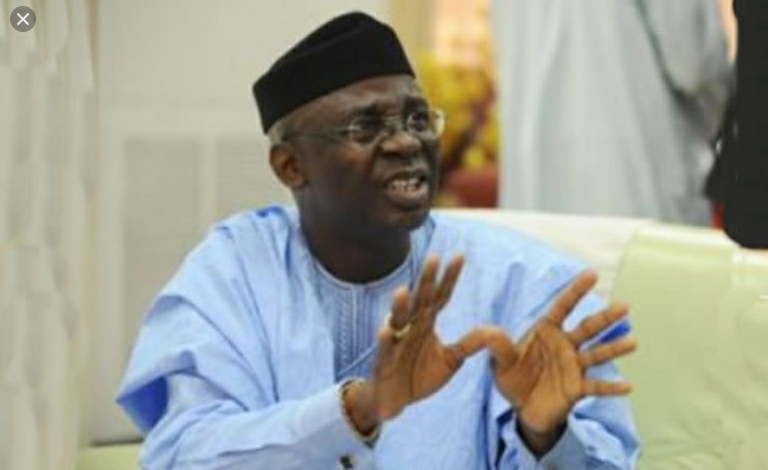 The North-South Question has been at the heart of every allegation of sectional interest in federal government policies and programmes; it was at the heart of the Northern perception of marginalisation during the presidency of President Goodluck Ebele Jonathan; it was at the heart of the ultimatum given by certain northern youth groups to the Ibos to vacate the North by October 2017; it is at the heart of the outcry over perceived lopsided appointments by President Muhammadu Buhari; it is at the heart of the bickering over revenue allocation; the demand for resource control; the herder-farmer conflict; and the clamour for self-determination by various groups in the country, from the Indigenous People of Biafra (IPOB) to the Niger Delta Avengers. On the 23rd of December, 2009, on a flight from London to Lagos, I saw a vision that changed the course of my life. I saw male conjoined twins who shared a head. One had a left ear while the other had a right ear. They both wore baseball caps. As I looked on in that vision, I heard both boys pleading: “Don’t separate us; if you do, we will both die.” When I awoke from that vision, I instantly thought that God was speaking to me in respect of pregnant women at The Latter Rain Assembly where I serve as overseer, and so I asked the prayer team to pray against congenital deformities. However, God impressed upon me that He was showing me the state and the fate of the North and South of Nigeria. He was showing me that, despite the imperfections of both parts of the country, separating them would amount to national suicide. I therefore charged the prayer team to pray against the disintegration of our country. 15Again the word of the LORD came to me, saying, 16“As for you, son of man, take a stick for yourself and write on it: ‘For Judah and for the children of Israel, his companions.’ Then take another stick and write on it, ‘For Joseph, the stick of Ephraim, and for all the house of Israel, his companions.’ 17Then join them one to another for yourself into one stick, and they will become one in your hand. After that victory over constitutional crisis, we engaged the government of President Goodluck Jonathan on the need to restructure Nigeria and set the country on the path to a true people’s constitution. Our proposals were contained in what we called A Contract to Save and Transform Nigeria. When that government failed to heed our calls, we decided to seek credible alternatives together with whom we could salvage our nation. Consequently, as I have said in the past, I invited a number of brilliant minds to my residence to deliberate on the way forward. This group, known as ‘The Arrowheads,’ comprised the likes of Oby Ezekwesili, Ngozi Okonjo-Iweala, Donald Duke, Nasir El-Rufai, Nuhu Ribadu, Fola Adeola, Jimi Lawal, Yinka Odumakin, Jimi Agbaje, Wale Oshun, and a few others. Our aim was to build a winning team from amongst this new breed of leaders. When I was asked by the group to be its chairman, I accepted only on the condition that I would not be required to join any political party and that I would not run for elective office. However, it came as a shock to me when, on January 15, 2011, Muhammadu Buhari invited me to be his running mate. At first, I refused and, after a meeting between Chief Olusegun Obasanjo and Mallam Nasir El-Rufai, the content of which was communicated to me by Nasir, I suggested Okonjo-Iweala as running mate to General Muhammadu Buhari for the following reasons. First, it ticked the gender box and then it resolved the ethnic question especially as regards Eastern Nigeria, which had had a history of exclusion since the Civil War. Moreover, given her pedigree as a Managing Director at the World Bank, it was going to guarantee international support. Nevertheless, Muhammadu Buhari was unyielding in his nomination of me. After several consultations, I accepted his invitation and jumped into the fray on the condition that the restructuring of the nation would be made the paramount agenda in our manifesto. We lost that election to the force of incumbency. During the campaigns, President Buhari had declared publicly that he would never again contest for public office. However, I was convinced that Nigeria needed him to stabilize the polity and to pave the way to the New Nigeria. Therefore, I led some of the Arrow Heads to him and persuaded him not to throw in the towel. We then facilitated his meeting with leaders of the South West and ignited a series of negotiations that led to the eventual formation of the All Progressives Congress (APC) by way of a merger of the Congress for Progressive Change (CPC) with the erstwhile Action Congress of Nigeria (ACN), the All Nigeria People’s Party (ANPP), and a faction of the All Progressives Grand Alliance (APGA). During a live broadcast from The Latter Rain Assembly this past Sunday, I unveiled these sixteen steps. Let me reiterate them on this platform so that the Nigerian diaspora will be challenged to own the narrative and to demand the implementation of this blueprint towards a New Nigeria. Previous Nigeria Will Collapse if Buhari Wins 2019 Election. Next Video of Human Organ Dealers.